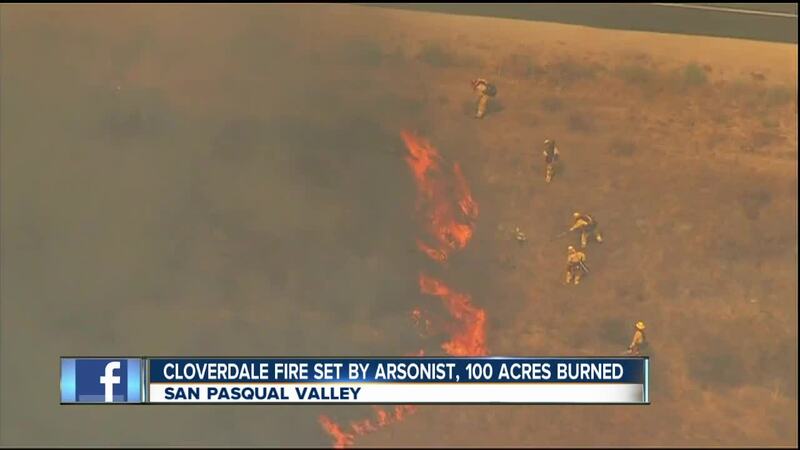 Several fires were set in the San Pasqual Valley. SAN DIEGO (KGTV) - Fire investigators have determined that a blaze that scorched 100 acres in the San Pasqual Valley Monday was not intentionally set. As of 6:30 a.m. Tuesday, California Highway Patrol officials said SR-78 is closed in both directions between San Pasqual Road/Cloverdale Road to Old Milky Way. San Pasqual Road is also shut down between SR-78 and Old Milky Way. According to Cal Fire, the latest fire broke out just before 3 p.m. Monday in brush off state Route 78 and Cloverdale Road. Within two hours, the fire increased in size to at least 40 acres. 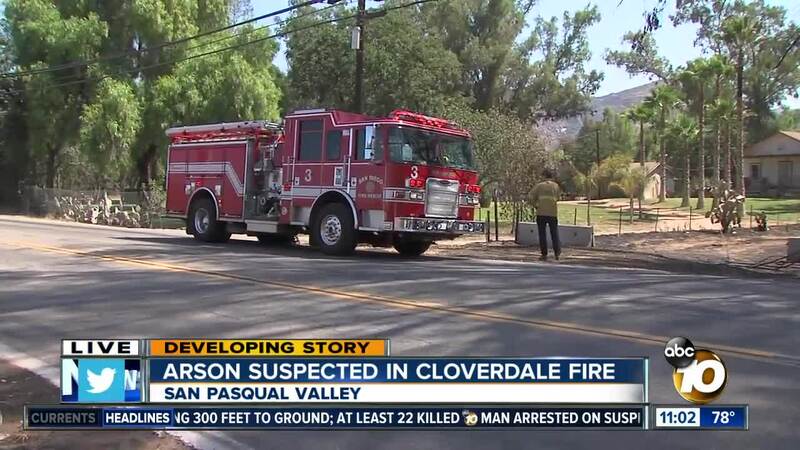 However, crews were able to stop the rate of the fire’s spread just before 6 p.m.
During the blaze, evacuation warnings were issued for part of San Pasqual Road, Rockwood Road and Brillwood Hill Road. San Pasqual High School was opened for those who were evacuated. All lanes of SR-78 east of Safari Park and Cloverdale Road were forced to shut down because of the firefighting effort. The San Diego Zoo Safari Park, which is located roughly five minutes away from where the fire started, evacuated guests Monday afternoon due to the closure of SR-78. The park was also prepared to evacuate animals but did not have to do so. Zoo officials said the park would be open as normal on Tuesday but urged visitors to allow for extra time when heading there due to possible road closures in the area. Two Safari Park shows, the Cheetah Run and Frequent Flyer bird shows, were canceled for the day, officials said. Several water-dropping aircraft -- including San Diego Gas & Electric’s aircrane -- assisted ground crews in battling the blaze. The Cloverdale Fire comes several days after the Rangeland Fire scorched 250 acres on roughly the same hillside. In late July, the Pasqual Fire tore through the same area, burning 365 acres and forcing numerous evacuations.